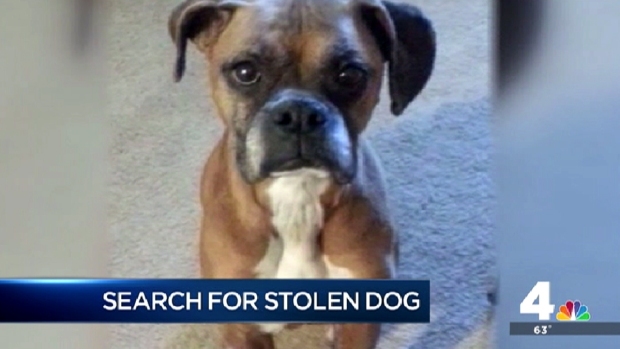 A 10-year-old dog stolen from a Greenbelt, Maryland apartment last week has been found safe. Prince George's County Police say a tip from a good Samaritan led Arwyn's owner to find her walking the streets of Calvert County. "She was a long way from home, but we are very happy to report that she's been found in good health," a police release said Monday evening. 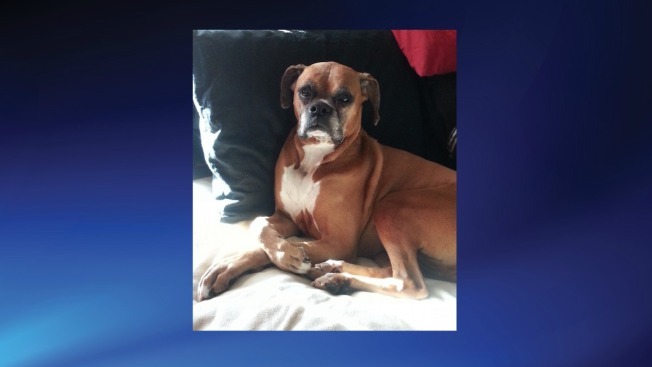 Arwyn, a boxer, was apparently stolen from Gabrielle Cowgill-Wilkins's apartment on Wednesday. Cowgill-Wilkins got home to find a diamond ring, a laptop and a Kindle Fire also missing -- but all she wanted was her dog back. A burglar ransacked an apartment in Greenbelt, stealing a laptop and a diamond ring -- and the resident's dog. The owner's had Arwyn for 10 years and is pleading for her safe return. News4's Jackie Bensen reports. Cowgill-Wilkins, who is seven months pregnant, described Arwyn as "a gentle old gal." The two have been together since Arwyn was just six weeks old. Cowgill-Wilkins believed if Arwyn had just run out of the open door, or even been pushed out of the apartment by the burglar, she would have stayed close to home. But days of searching turned up no sign of her, and police believe she had been taken. Investigators are still working to find a suspect or suspects in the case. Anyone with information is asked to call the investigators at 301-390-2160 or call Crime Solvers at 1-866-411-TIPS if they wish to remain anonymous.